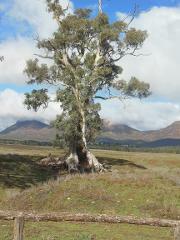 If you have only one day to see the Flinders Ranges then this is the tour for you. Explore Bunyeroo and Brachina Gorges, see yellow footed rock wallabies and learn about the geology of the area. Then drive to Parachilna for lunch at the Prairie Hotel, famous for its feral food. After lunch travel along Parachilna Gorge to the heritage town of Blinman, before returning via Stokes Hill Lookout to Rawnsley Park.